Quote Reply Topic: Does anyone else see this? Does anyone else see the ground power units sunk like this.. Wherever I am in the UK (GenXv3) and I deploy the GPU's, they appear slightly sunken like this. What you hear, is the GPU. And they really should be stood on hard-standing. Do you see the GPU's sunken like that?? I know of a-n-other user that does. EDIT: DaveG over at CBFS has found a solution to this untidy problem. The 3 objects concerned (I include the sign too) have, for some reason been made as objects in their own right and as such, they have their own sim.cfg files. 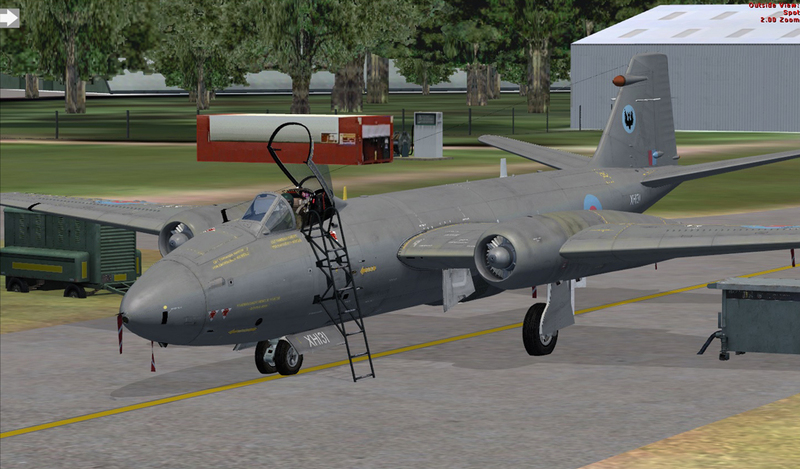 If you go to SimObjects\GroundVehicles\JF_Canberra_GPU and JF_Canberra_BCU folders.. open up the respective sim.cfgs and change the static_cg_height to 6.2 for both models. The JF_Canberra_Sign can be as well. Thanks Dave (and Dave Garwood of course), I also had the sunken GPUs and changing the static_cg_height fixed it. I don't have the engine sound hanging issue but FSX is notorious for hanging sounds, sometimes it helps to tap the sound key (Q) twice. It is something we are aware of and will fix in the future!